Wait a minute, have you ever asked yourself why some of the top Rich and influential Motivational Speaker (s) around the world today barely venture into any other business? The answer is simple. Its because speaking business is a very vast and lucrative business that everyone can do and at the same time, choose a Niche in public speaking where you will become an expert. Have you been wondering if motivational speaking business is really a profitable business to venture in? Then this post is for you. Here i have given a detailed guide and steps to follow to become a well known, Rich and influential Motivational Speaker. It’s true that some people tend to move mountains when the talk to people. There is this my friend back then in campus; anytime he talks to people about life, majority tend to pay serious attention to him. I once saw a young guy talking to some ladies about “THE END TIME” lo and behold to my greatest surprise, before this guy could finish talking; About 4 ladies out of 11 of them started biting off their fixed finger and toenails…. Wow! This is crazy! and how could that be. This guy must really be gifted with speaking talent. Now the question is. Do people give you good listening ears when you talk? Do you move people emotions and feeling anytime you talk? Do people tend to ask you to talk or ask for your opinion when you are in a meeting? Do you command and show authority when you talk? If your answer to question is all YES. Honestly speaking, this post might be your big opportunity to know all you need to know to become outstanding in the crowd, move and talk life into people and at the same time make good money as an influential motivational speaker. This is an era where people make use of their talents to make good and millions of money for themselves. Hope you are not going to sit back and wallow in poverty because you have refused to use your God-given talent. Currently most talented and award-winning Musicians, actors, comedians, dancers, high Business IQ guys, Hand gifted crafters are smiling to the bank because they have stood up to take advantage of their gifts. Don’t you think it’s time you yourself as a speaker smile to the bank too? All over the world, motivational speakers are hugely and equally earning big and some have built amazing wealth just by speaking to people the right words at the right time, there are great, rich and influential Motivational Speaker in Nigeria who have created space for themselves in the industry and are making millions of Naira from it. Prominent among them is Niyi Adesanya (The official speaker of ETISALAT NIGERIA) He have been able to go places, help people create wealth as well as himself, all through his ability to speak and motivate! The power of motivational speaking can never be over-emphasized! Any good motivational speaker can motivate a dying soul to live again and again, and inspire a dummy to perform like an Athlete. There is nothing as refreshing and reinvigorating as carefully chosen words spoken at the right time by a crafty speaker. Ever listened to Les Brown? If you don’t, then you should try that once you are done reading this post. People like Solomon Buchi Bartholomew have spoken to tons of broken relationship that never had hope of uniting again and made great impact that hope is restored and the love affair revamped. On the contrary, Solomon Buchi Bartholomew still single. Dude is really gifted when you talk about building a good relationship and love life. There is no better time to speak to people and make money in the process than now that most businesses and careers are falling apart, families are being broken, and people roaming around the streets wearing sad faces. People needs to be inspired now to reach their goals. High and lack of proper motivation could damage great potentials. A word spoken at the right time can change someone’s outlook towards life and help make their world a better place to stay. This is the right time to create value in people’s life by motivating and inspiring them and get rewarded with wealth. All I can tell you here is just be good and you will be very surprised at how many people out there who are willing to pay for your services. My little research on this shows that professional motivational speaker do charge companies and organizations about $25,000 (5500000 Naira) per session to motivate and train their staffs while some charges per head and peg their fees at $100 per participant. To be brief, Try and research how much Les brown, Roberts Kiyosaki, Ken Katas, Niyi Adesanya charges for them to be in your program. For the bloggers and marketers reading this, Try inviting someone like Neil Patel or Harsh Agrawal to speak to your seminars, conferences or events and you will understand what am trying to say here. The amount of money you make depends on you expertise and your brand – that’s why the first thing you need to work on as an aspiring public speaker is your brand. Now, Here are the key point and things you need to do to sky rocket your Motivational speaking business. For you to have read this up to this point, that means you have considered yourself to be a natural good speaker, that’s why you’re giving this a thought but you must understand that a good speaker in a private setting may not be good enough when it comes to public speaking. If possible, get yourself close if not attached to an accomplished speaker to learn how motivational speaking is done both in delivery and in business sense. If you’re looking up to people who are not within your reach, Follow them across all their social networks, read about them, watch their videos and follow their guidelines but don’t try to imitate their exact method. (Just as some pastors in a church do and dress exactly like their general overseer. It’s not like that in motivational speaking) you must have to deviate from trying to be someone else if you really wants to achieve your full potential as a rich and influential motivational speaker. Improving your speaking skill doesn’t mean clamming popular quotations and churning them out in public as if that will impress anyone! People tend to love motivational speakers who really speak from the trench of their heart. You see them talk with references. It’s good to put out useful quotations here and there during your speech but don’t make your speech all about quotations. Try to be distinctive and avoid making the mistake of making noise in the name of being a speaker. Be sure you know who you are. A gifted speaker may not need much training in this regard. Just know your skill is not too good if at the time you are on session, and the people who are listening to you are dozing off or sleeping, not jotting, or Not expressing any feeling of remorse, touched etc. 2. Read Related Books and blogs! As a motivational speaker, you are bound to know anything and that’s how you will make yourself appear not only as an intelligent speaker but a smart, experienced and expert speaker. Try to have good knowledge in various sectors of life but most importantly, read more of the books that are related to what you are doing. At the time, you can read plenty of books on any topic not just on public speaking. A good speaker is someone who is well read and experienced in various businesses. Frankly speaking, “it takes many books to write one book and speaking is like writing a book”. Read many books and blogs to learn how to write your own book in the sense of public speaking. 3. Listen To Audios and Videos! Les Brown said in one of his Audios I got from YouTube, that to keep that burning motivation alive, “you need to listen to good tapes every morning” You need to listen to good public speakers and learn how they speak and manipulate words. If you are planning on becoming a motivational speaker and you don’t listen to motivational tapes, then you are already missing something big. Follow the steps below to get good audios right away. 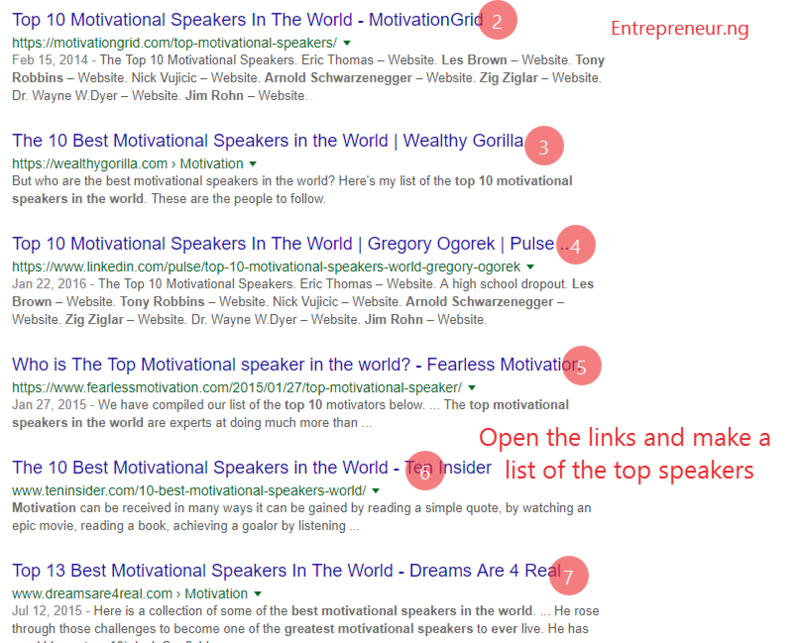 Step 1 Search for the list of the top 10 or 20 motivational speakers in the world on Google. Step 2 Write down the list from any of the blogs you got the list from and then proceed to the next step. Step 3 go to Youtube.com and search each of the names you have written down from step 2 above. Now kindly save or download the videos and audios you like from the results shown to you. I recommend downloading at least 5 videos or audios from each person. I recommend saving those videos because you will probably watch them again and again thereby saving you that data of going back to YouTube to watch them. You can also do the same search for your favourite speakers on YouTube and get their videos and audios. Packaging is a very huge factor in motivational business. That is why most companies pay big for their product branding and packaging because how people see will give the first impression if it’s worth buying or not. To a greater percentage, the appearance of their product determines whether they will get a new buyer or not. Don’t think its only products that are packaged. Humans providing services package themselves too. That is why you see Musicians and entertainers living a luxury life out of the money they have. They are all packaging and most people have failed to understand the reason why it’s like this. Here is the logic! 1). Companies with products package their products and not themselves, that is why you will see a man looking very common in the street but has so much money in his account made from those products. Product providers often don’t appear too flashy when compared to Service providers. 2). Service providers with no product to sale often package themselves. Example is what you see in the music and entertainment industry. As a motivational speaker, what you’re selling is your good and encouraging words, you want to help someone with a product, You can’t be teaching people how to become rich when you are standing before them looking like a poor man. You have to look good and responsible. Look like what you are talking about. By now, after listening and watching all the audios and videos in your playlist, I belief you must have learnt some things on how to speak well. Do make that speech of yours simple and use understandable language as well as avoiding confusing your listeners with “Self Educatedness” that’s the word I coined for the thoughtless use of high sounding words. You have to learn to avoid too much use of pride and flamboyant words if you don’t want to be alienated from your prospective audience. Doe as a speaker, you need to brag in few cases but not in most cases. Don’t speak too much and avoid using huge and big grammars like one of my Nigerian senators from Delta state. In business, brand is everything! You need to sell yourself first using the points above before you could sell anything. Motivational speaking is a business and should be seen as such; you need to brand yourself perfectly if you hope to sell your services to your potential clients. Now here are the various ways you can promote yourself in this business of being a motivational speaker. Take enough time to edit your pages and make it look good and attractive, add pictures of your previous Programs/events if you have any – you do not need to talk much here if your photo albums tell stories about you in a professional and positive way. Use the best of your photos as profile picture and page covers. Let people see who you are by just seeing your profile picture. Always Tweet and update your Facebook status with good and inspirational quotes and motivational excerpts, maybe once in a while try to update some funny status so that you don’t appear to be too official. Add humor to it. Social media holds more prospects than you can ever imagine, the people you meet online today might turn out to become your clients in the nearest future or be the ones to recommend you to clients that will pay for your services. 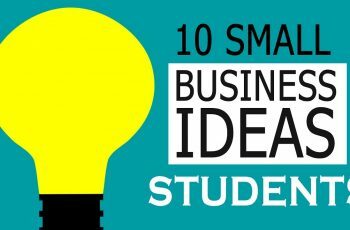 Before I started blogging, I was motivated by Christain Chuks of Techvaid and Nasarity, This guy really talked me into taking my Graphics, Business planning and speaking business into an online business and since then it has been a very helpful tool to me and I recommend it for everyone reading this. The best and most powerful brand building tools online is your website or blog, and blog has a way of giving you credibility as well as another source of income. Build your expertise online and watch how people will be calling you after some months. All you need is to give your blog a good attention. Once you start blogging, make sure you follow people like Neil Patel of QuickSprout and Kissmetrics, Brian Clarks, Jon Morrow and the rest of them for the best SEO advice and how you can easily rank on Google search results. and secure your domain name and hosting account. You can Contact Us for the web design at affordable fee. I have used all the mentioned services and they are all good. This website domain was gotten from web4Africa and you their services is preety good too. So just use any of the 5 recommended companies above for your own benefit. If you want me to explain more instantly to yoy why I strongly recommend this, Drop your comments or better still contact our mobile number +2347037281050. Some speakers are making more money using their blog than the normal service demand they get. Set up a blog today and write inspirational articles regularly, there is no better way to build your brand than this! People will read those articles and if they are inspired, they may want to go the next step with you! See, for you to become a motivational speaker, you must go on air. The media has got a lot to give you if you use it the right way. If possible, negotiate regular slot on Radio and TV and talk to people. Let them hear you talk, the quality of your speech will be the connecting factor between you and the prospective clients and the public in general. There is no faster way to build and market your brand than the radio and television. When people hear and see you, they get to like and get connected with you. If you are skilled in anything, it’s an add-on for you. All you have to do is organize and host seminars and charge people to attend. Below is a rough Estimate price of what it will cost you to host a seminar on a small scale. Materials Depends on the materials want to sale if any. NOTE: The estimate above is gathered in Nigeria, I can really tell for other countries. Please refer to your local event planner for a rough estimate of your country location. One thing you must know is that people have different problems and they are all looking for solutions. As an Influential motivational speaker you are about to become, you must be a problem solver or else you will not do well in this business. Once you’ve done all these, it will be time for you to sit back and watch dollars (whichever one you choose) rolling in. How much you charge depends on your demand, start small but don’t portray yourself as being too cheap. I can say at this point is best of luck as you enter the world of being a motivational speaker. Speaking is power and there are power is words of the mouth. If you are gifted in this, you can use it and create a multi-million brand for yourself. Follow the steps I’ve given above and watch how your motivational speaking career will skyrocket to the next level. All the influential Motivational Speaker (s) in the world understand the right use of powerful words to speak into people’s spirit and you a potential speaker can leverage this huge opportunity too. Let’s make this a section now. Kindly drop your comments and don’t forget to share this across the various social networks. Best wishes as you start your motivational speaking business. Thank you very much for this article. It makes a lot of sense to me. I really want to be a public speaker. Please I need mentorship and probably personal contact with you. Thanks Temitope for your Kind words. The truth is that you really need to build a good reputation for yourself as well as a strong brand for yourself before you can get to that highest level as a Motivational speaker. Also thanks for your inspiring text message. I must confess that this write up is an eye opener. Thanks alot. Thank so much for this article. There is a saying that there is no mountain anywhere! your mountain is your ignorance! You are simply the best! This information is a goldmine to me and I intend to search and maximize all opportunities that shows itself. However I still wish to have a physical mentor in this profession. I know the social media will go I long way. I still hope for a network within Abuja. Thanks a lot. You see getting started is the best way to get to where you’re going. feel free to contact me anytime. Wow! What an awesome piece of information! God bless you! Am glad you found it useful Ugo. Thanks much for this Sir. I have spoken most times at school events and the methods you specified here were used in cultivating me up. Though it occurs as talent in some people but talent without practice is waste. speaking can be a natural gist for some people, however, those who adopted it because they love to must master the art the work with it. After building yourself up, How do you start landing speaking jobs? 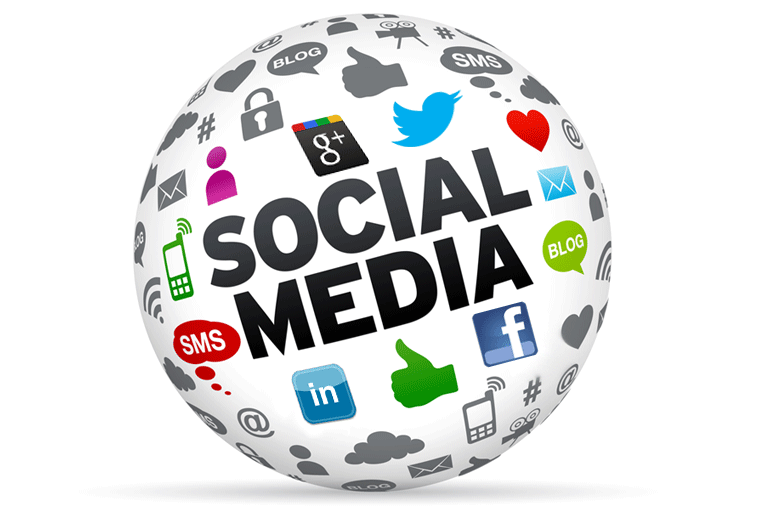 Social media has made reaching customers easy. Running good promotions on social media will convert in two ways, ulling traffic to your paltform and gaining exposure faster. Clients will view your videos and when if they’re impressed, they will always want to get in touch with you. then, the choice is your to make your time with anyone a pay or not. Thanks so much for this amazing guidelines, this would really help me. My earnest desire is to make an impact and touch lives with my God given talent. Thank you very much Gudtalent,, I’ve been thinking about this for a very long period of time, but I felt I know less of all I need to face my dream,but right now, I feel this confidence in me and I believe I need to add up more effort and have more knowledge in various sectors of life, like you have said. Thank you. Thanks so much for the wonderful teaching and advice. I deeply appreciate. Very inspirational indeed, God bless you.